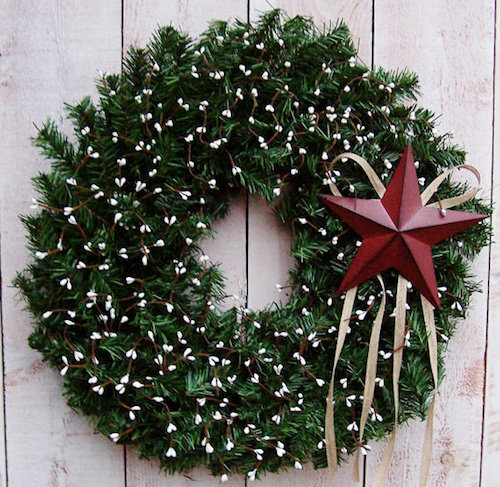 ‘Tis the season for adding a gorgeous holiday pine wreath to your outdoor home. 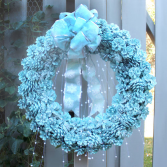 Nothing can beat the ‘wow’ factor that a handmade wreath can singlehandedly add to your holiday décor. 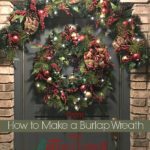 Making a holiday wreath is simple, as you just have to gather the supplies, seasonal embellishments, and tie everything together with a large dose of holiday spirit. 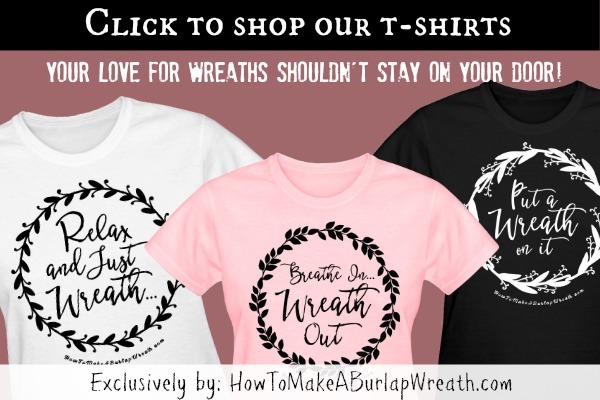 However, a holiday pine wreath could be the best option if you’re thinking of a winter wreath that will last through the holiday season. We love how The Wreath House used mixed evergreen materials! Link to pine wreath video is here. Unless you want a huge pine wreath, use the 12-inch form because it will end up being twice the size of your expectation after you finish. Take a hand full of pine leaves (cut at 6-inch or at a length of your desire) and bundle them together. Lay the bundle slightly diagonally on the wreath form. Then, pull the wire slightly above the cutting ends, and wrap around the bundle and frame a couple of times. Make another bundle with pine leaves and place it overlapping the first. Continue wrapping with the wire. Now, lay the faux white berries on the pine leaves and attach with either glue or floral wire. Try to spread the berries evenly over every part of the wreath. Add 3 to 4 jingle bells in a sporadic manner on the wreath. Attach them with glue. Choose them in silver color with a little bit of golden glitter to keep the festive mood on. Make a double bow with the silk ribbon and attach it to the wreath with glue. 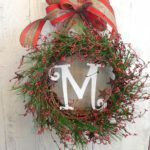 With the single basic technique, which is wiring materials to a wire form, you can create an infinite variety of holiday wreaths. So, let your imagination run wild and follow the same directions to create your own version! 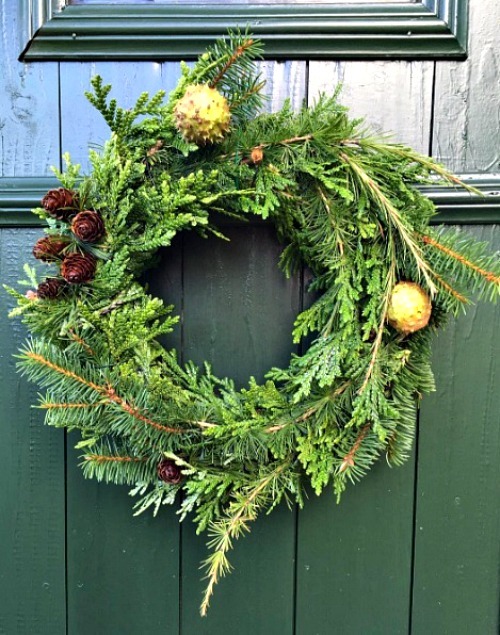 If you want to make a wreath with fresh greenery instead, Houzz has made it easier for you by breaking the wreath-making process into eight simple steps. The wreath layers a couple of different greenery types and bright berries to create a textured look. 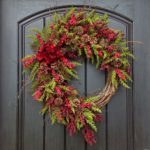 If you are worried about how to keep your holiday wreaths fresh and colorful in dry winter weather, Martha Stewart is here to save you with 10 killer tips. Try them out! If you are looking for some fun wreath ideas that scream ‘Christmas,’ Architecture Art Designs have 20 of them. 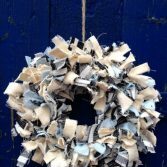 For more winter wreath ideas take a look through our Christmas wreath category. 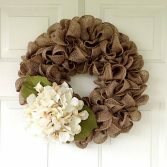 A beautiful and chic wreath! I’ll have to add this to my DIY list. Stopping by from Inspiration Monday. 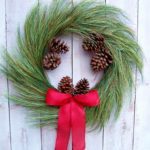 Wow what a beautiful DIY on how to make a pine wreath! 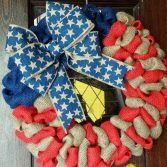 THank you so much for sharing can’t wait to make one for my door.